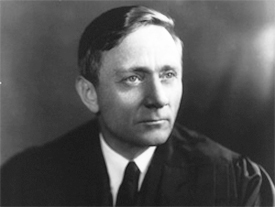 Supreme Court Justice William O. Douglas ’20 majored in English and economics at Whitman. He was a member of the debate team and was class president in his senior year. The new William O. Douglas Chair in Constitutional Law and American Jurisprudence will serve to inspire scholars and citizens. Members of the governing boards and Whitman alumni have been considering for many years how to memorialize the outstanding teaching of constitutional law at Whitman. The constitutional law classes of Chester Maxey, Robert Fluno, current Provost and Dean of the Faculty Timothy Kaufman-Osborn and Robert Withycombe are legendary among generations of students. The Now Is the Time Campaign has brought forth such an opportunity. A group of anonymous donors has issued a challenge: more than $1 million to match gifts from other alumni and friends to fund a new chair in the Politics Department. The William O. Douglas Chair in Constitutional Law and American Jurisprudence will help further a distinguished legacy of teaching and learning in constitutional law at Whitman and bear the name of William O. Douglas ’20, the longest-serving associate justice in the U.S. Supreme Court’s history (Douglas served from 1939 to 1975). Robert Fluno was an inspirational mentor to generations of Whitman students. He also served as chair of the social sciences division and of the political science department. The chair also will provide an opportunity to recognize the contributions of the late Robert Fluno, who taught at Whitman from 1952 to 1982. During his illustrious 30-year teaching career, he inspired many students to careers in law and lives of active citizenship. “Among Whitman alumni, Fluno is remembered for his courses in American government and democratic theory, but he is especially remembered for his demanding and stimulating course in constitutional law,” Kaufman-Osborn said. 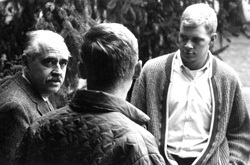 “His course in constitutional law gave generations of students outstanding preparation for their later work in graduate schools, law programs and in positions of professional and public service.” To honor this legacy, the Whitman College Board of Trustees plans to name the late professor as the first honorary Douglas Chair. All alumni, parents and friends of the college are encouraged to support this new faculty position that will help ensure future generations have as well-rounded and inspiring of a liberal arts education as Douglas found. Whitman hopes to have the funding for the new position in place and begin offering classes by the 2013-14 academic year. The more than $1 million donated will be used to match gifts from alumni, parents and friends to fund The William O. Douglas Chair in Constitutional Law and American Jurisprudence. To make a gift toward the challenge, visit the Online Giving page – or call (800) 835-9448, ext. 2.